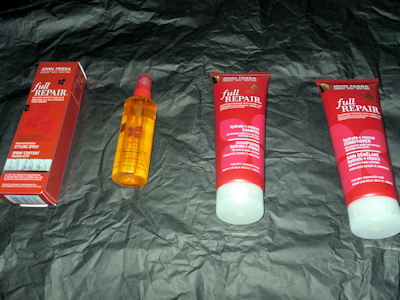 I was given the opportunity to review more products out of the John Frieda range. 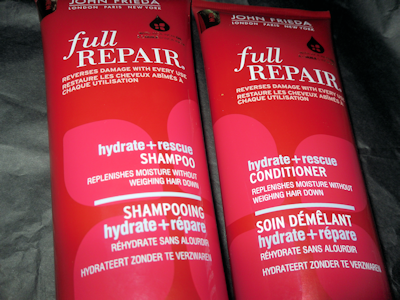 I was so excited to be given the chance yet again to review more John Frieda products. Out of experience last time I found that John Frieda products were absolutely amazing and did my hair the world of good, so this time I kindly asked if it was possible for me to review some products out of the ‘Repair Range’ and I can tell you now I am so glad that I chose those. 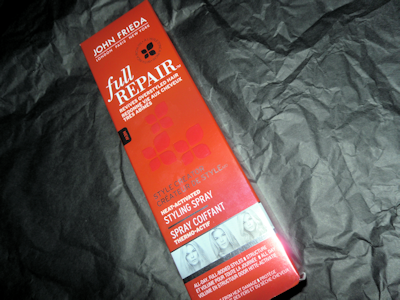 I received John Frieda Repair Shampoo and Conditioner, Styling Spray and Repairing Oil. Knowing that I had the Repair products coming in the post I started a ‘Hair Detox’ for those who do not know what a Hair Detox is, it is where you try and repair your hair by not using heat and doing conditioning treatments. I must admit I had one day where I didn’t follow the Hair Detox and that is because I had my hair curled. I stuck to the hair detox and this is now my 7th week of my hair detox, I have a couple more conditioning treatments to do and then I shall get my hair trimmed. I will try and update you after the 2 months. 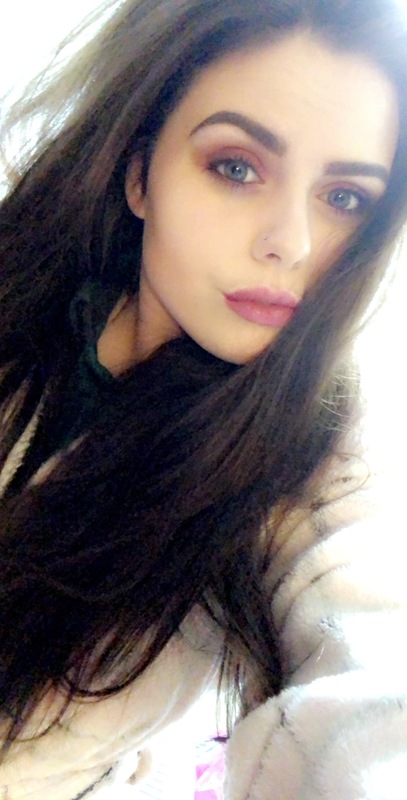 As I said in my old post I struggle so much with my hair everyday I have to battle through a bush just to brush my hair and I have ends falling off and hair falling out. I put this down to bleaching my hair too many times ever since I bleached my hair which I did to dip dye my hair and then 3 lots of highlights and then went bleach blonde 2 or 3 times its no wonder my hair didn’t fall out more. It is very hard to tame and I can only relate my hair to a lions mane or a birds nest and so this what I thought of the products. Reverse the look and feel of dry, damaged hair with every use. Fortified with Inca Inchi Oil, this intense, hydrating shampoo rescues parched hair from the look and feel of damage, while nourishing each strand with essential moisture. The Omega-3-rich formula has been expertly blended to ensure dehydrated hair is cared for, to restore a cashmere-like softness and healthy shine. Apply shampoo to wet hair, lather, rinse well. Follow with Full Repair Hydrate + Rescue Conditioner. 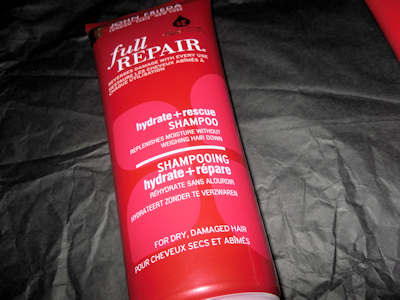 Start with Full Repair Hydrate + Rescue Shampoo. Smooth conditioner through wet hair. Rinse well. For intense repair, leave on for 2-5 minutes. Aqua, Sodium Laureth Sulfate, Sodium Lauryl Sulfate, Cocamidopropyl Betaine, Glycol Distearate, Cetyl Alcohol, Parfum, Cocamide MEA, Sodium Chloride, Silicone Quaternium-18, Guar Hydroxypropyltrimonium Chloride, Benzyl Alcohol, Trideceth-6, Disodium EDTA, Malic Acid, Trideceth-12, Glycine, Plukenetia Volubilis Seed Oil, PPG-9, Stearoxypropyl Dimethylamine, C14-28 Isoalkyl Acid, Sodium Hydroxide, C14-28 Alkyl Acid, Methylchloroisothiazolinone, Stearyl Alcohol, Methylisothiazolinone, Tocopherol, Hexyl Cinnamal, Limonene, Linalool, Citronellol. Aqua, Cetearyl Alcohol, Behenamidopropyl Dimethylamine, Isodecyl Neopentanoate, Stearyl Alcohol, Lactic Acid, Parfum, Isopropyl Palmitate, Dimethicone, Bis-Cetearyl Amodimethicone, Propylene Glycol, Diazolidinyl Urea, Glycine, Plukenetia Volubilis Seed Oil, Malic Acid, Stearoxypropyl Dimethylamine, C14-28 Isoalkyl Acid, C14-28 Alkyl Acid, Iodopropynyl Butylcarbamate, Tocopherol, Hexyl Cinnamal, Limonene, . 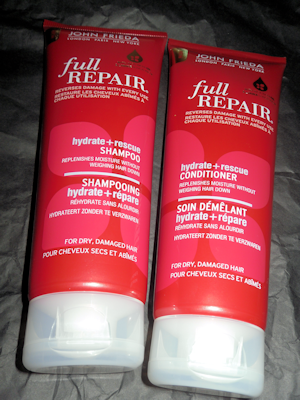 Firstly I received the Full Repair hydrate and rescue shampoo, This shampoo was amazing, that and the conditioner have done my hair the world of good. The packaging is Red and has gold details and white writing. It also has a transparent flip cap which it stands on which makes it easy to dispense a it is already upright. The shampoo has a fresh scent which stays on your hair and makes it smell freshly washed for up to 3 days, It lathers up really easily which just a dollop in your palm because a little goes a long way which I have found with the two shampoos I have used from the John Frieda range. The shampoo is white and has a watery consistency which makes it easier to lather it up in your hair. I feel that this shampoo does not feel like your hair is being stripped and gives you a nice refreshed feel after washing. The condition has a thick consistency but I must admit it does work, I usually leave it on for a couple of minutes whilst I am washing my body and then wash it off. My hair feels so nice when I wash it off it is so soft and not even tangled or knotty which is fantastic I have finally found a product that tames my lions mane mess and my hair smelt AMAZING!, these two products together work wonders. I also used to conditioner for my conditioning treatments and left it on for a couple of hours and then washed off, since using these products my hair is not so brittle and ends hardly break off my hair has so much more hold and it is starting to feel so soft and silky like I never bleached it in the first place. 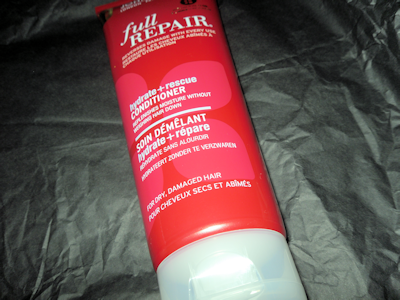 My hair is definitely repairing and it is all thanks to these products. You can but it at Tesco, Asda, Sainsbury, Ocado, Boots, Superdrug, Amazon, Feel Unique or Wilko. It costs around £5.89 each. Reverse the look and feel of damaged hair with every use. Enriched with Inca Inchi Oil, this luxurious elixir visibly repairs dry, damaged and brittle hair, while reducing the risk of further breakage and split ends, without weighing your hair down. The repairing formula has been expertly blended to build strength and increase shine, while protecting from the damage of heated styling tools, for impeccably smooth and nourished hair. Expertly formulated for all dry and damaged hair types, including colour-treated and chemically-treated hair. Cyclopentasiloxane, Dimethicone, Trisiloxane, Plukenetia Volubilis Seed Oil, Dimethicone/Vinyl Dimethicone Crosspolymer, Crambe Abyssinica Seed Oil, Parfum, Tocopherol, Hexyl Cinnamal, Limonene, Linalool, Citronellol. For all-over strength and smoothness dispense 1 pump into palm, rub hands together and distribute evenly through lengths of wet or damp hair. 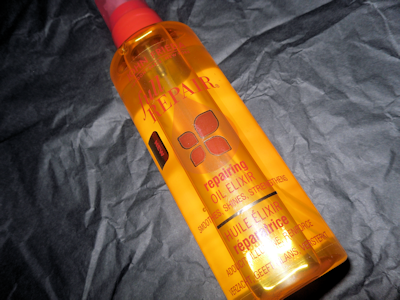 To tame flyaways and add shine, apply a few drops to dry hair, taking care to avoid the roots. I love this I alternate between this and the one below when washing my hair. What I love about this product is being an oil you would think it would make your hair greasy but honestly it really doesn’t which is fantastic because where as it is not making my hair greasy means that I like to use it a lot more especially as it does not make your hair heavy and it is very light weight. After using all these products together my hair has a lot more strength too, I hardly have any ends coming off when brushing my hair and hardly any hair falls out. I have also used this product a dozen of times and it still looks like a full bottle so it lasts for ages which is perfect for me because I find I use up products far too quickly. It also leave your hair with the most amazing shine and it looks like you have just walked out of a salon which is fantastic because I can create my look at home rather than going into a salon and having my hair done. It also has a really nice light smell but it is a really nice smell and again creates that fresh and clean smell and look and I love the fact that I could tell the difference after only a couple of days of using because my hair was brittle and was in an atrocious condition and it looked healthier in a couple of days and I definitely recommend others to use this product if they have hair in bad condition because it really does work it smooths, shines and strengthens your hair. Reverses damage with Every Use. Our breakthrough styling spray, with lightweight Inca Inchi Oil, improves manageability , creates natural movement and long-lasting hold to any style. Provides heat protection and works with heat-styling tools to create a shiny, versatile style that lasts all day. Safe for colour-treated and chemically-treated hair. Aqua, Alcohol, Polysilicone-9, Alcohol Denat., Propylene Glycol, Diazolidinyl Urea, Steartrimonium Chloride, Polysorbate 20, Methylparaben, Sodium Citrate, Parfum, Plukenetia Volubilis Seed Oil, Propylparaben, Tocopherol, Hexyl Cinnamal, Limonene, Linalool, Citronellol. 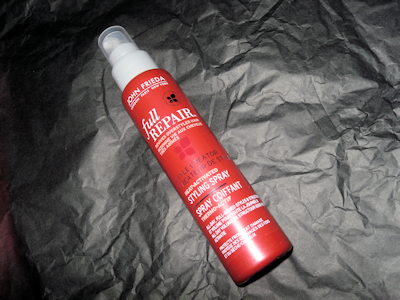 Spray on wet or towel-dried hair. Use more or less depending on hair length and thickness. Do not rinse out. Heat style hair as desired. CAUTION: Use only as directed. Avoid eye contact. If eye contact occurs, thoroughly rinse immediately. Keep out of reach of children. The times that I did use this styling spray was brilliant I use to alternate between the both that I had and I used it for when I had my hair curled and I can honestly say my hair still looked shiny and smooth even though I was using heat on my hair and my hair is usually in bad condition after using heat tools. Unfortunately it somehow manage to leak in my bag and it wasn’t even a tiny leak it was all in my bag the WHOLE bottle. I felt like crying I am not going to lie to you so from then I couldn’t use it but it is on my ‘to buy’ list so I will go back out and buy some more and then I will be able to write a better review on it. The time that I did use it for I can honestly say It was absolutely fantastic! and it sprays very evenly and very easy to apply. 7/10 – only because I did not get to try it as long as I wanted to as it leaked in my bag – hopefully when I buy some more this rating will change! I thought I would add my hair detox routine at the bottom for you just so you can see what I did. Tuesday – Leaving conditioner on for a couple of hours with cling film on (the longer you leave it the better, preferable until it starts drying out ive left it on for 8hrs before) Wash out, and then shampoo and condition hair with repairing stuff and then use styling spray if you are going to use heat tools if not use the oil. You can mix it up as much as you want but as long as you wash your hair every other day and do 1 or 2 conditioning treatments a week, your hair will feel absolutely amazing! I hope you enjoyed reading! let me know in the comments if you’ve ever done a hair detox before or if there are any particular products you think I should use. I really need some of this as my hair is an absolute mess from straightening it and dying it for so long. A really detailed review, I use John Frieida products too and think these are really good.